Organic. Gluten Free. Non-GMO. Vegan. 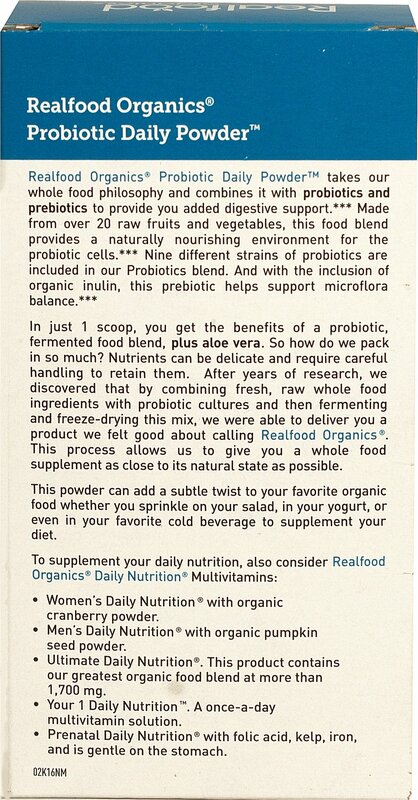 In just 1 scoop, you get the benefits of a probiotic, fermented food blend, plus aloe vera. So how do we pack in so much? Nutrients can be delicate and require careful handling to retain them. 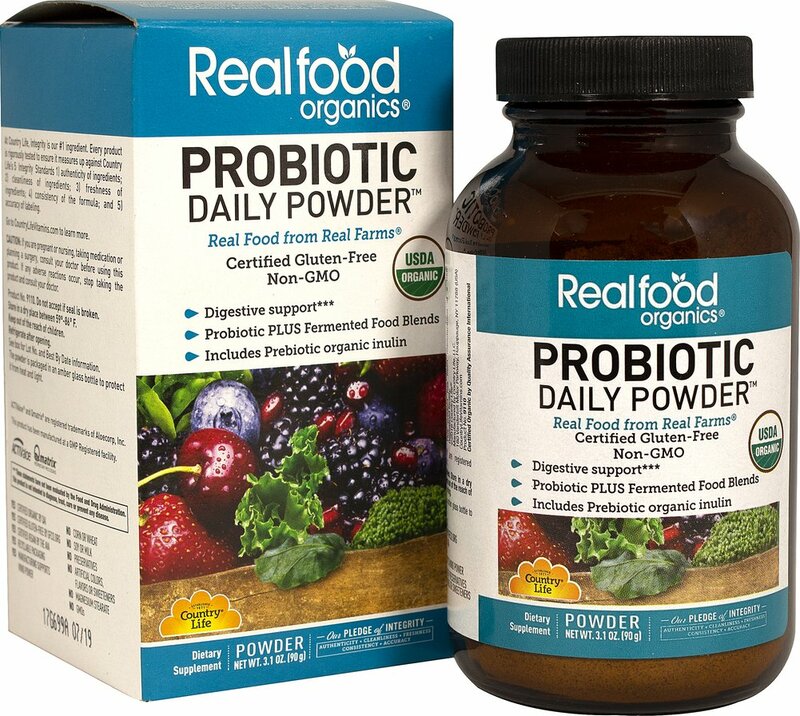 After years of research, we discovered that by combining fresh, raw whole food ingredients with probiotic cultures and then fermenting and freeze-drying this mix, we were able to deliver you a product we felt good about calling Realfood Organics(R). This process allows us to give you a whole food supplement as close to its natural state as possible. This powder can add subtle twist to your favorite organic food whether you sprinkle on your salad, in your yogurt, or even in your favorite cold beverage to supplement your diet. Organic. Gluten Free. Vegan. 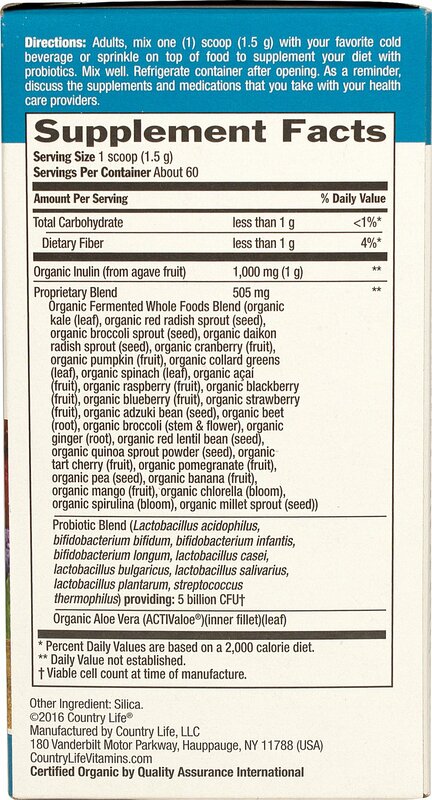 No corn, wheat, soy, milk, preservatives, artificial colors, flavors, sweeteners, GMO's.